When I have a series of projects to work on, I always start with the smallest/easiest first. Then as my momentum builds I take on the more intense areas. 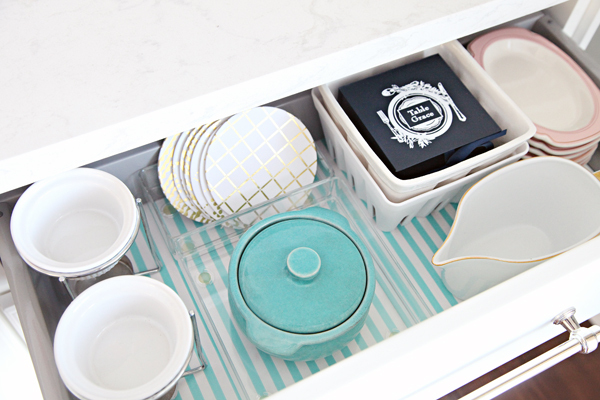 This month I hope to tackle four different areas of our home and our messy dining drawers were the least intimidating of the four. Our son is receiving a whole new closet, my husband has hours of tool sorting ahead of him (with my help of course), and under our laundry room sink is a blank slate that needs some thought out storage. Just as I predicted it, I started emptying the messy drawers and impulsively decided to tackle the two cabinets below at the same time. Wait, if I predicted it then I guess I really wasn't all that impulsive. Or else I just know myself that well. 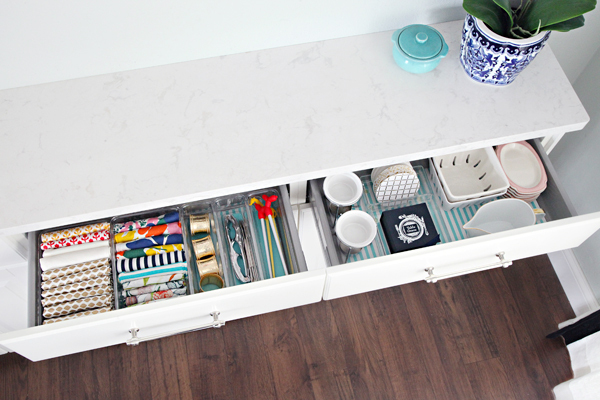 Anyway, all of the drawers and cabinets serve similar functions in storing items for entertaining, parties, outdoor dining and specialty food dishes/utensils. 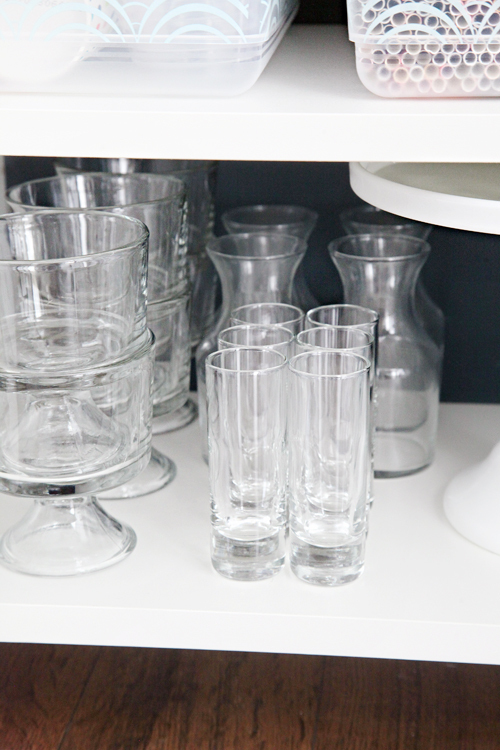 The last cabinet also holds our pitchers and decorative vases, so I also tossed that one into the mix. The cabinets themselves weren't really all that bad (still wish I would have taken a couple before shots of them), but needed a small amount of help to add in some order and categorize all that was happening in this area of our dining room. 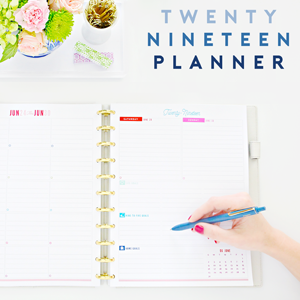 With each of the spaces we are focusing on this month, I want to walk through what the process looks like as I go. 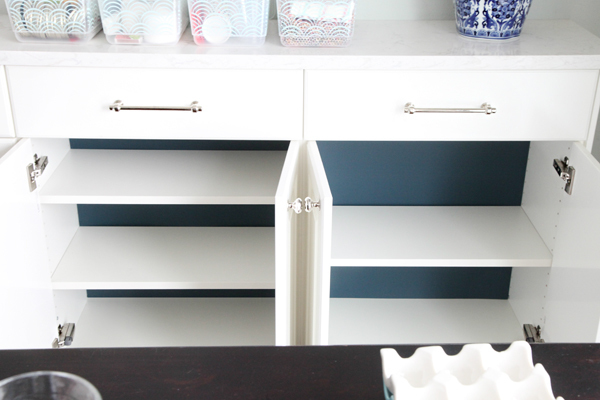 The very first thing I did with these drawers and cabinets is empty every last item out onto the nearby table. 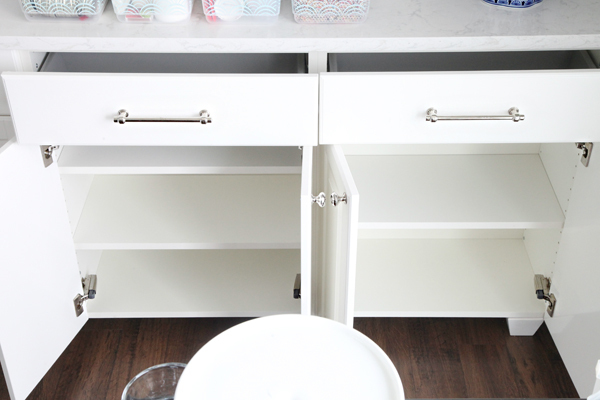 Knowing that the cabinets here are quite shallow, I was shocked at how much I was actually storing inside of them! My Jenga-Tetris-esque skills are strong. Shield your eyes friends! Messes like the one above excite me! Not in a want to keep it all scattered out on the table forever kind of way, but more of a can't wait to categorize and purge sort of way! So, that is exactly what I did. I broke out my handy laminated labels and started picking through the entire pile and sorting things down accordingly. I touched every last thing and really forced myself to make note of the when each item was last used. Some things were hard to put into the donate bin, but anything that I wasn't putting to use frequently, that was a duplicate, that was broken, etc... went bye bye. It is such a freeing feeling! Everything else was placed into loose piles with similar item types. With the cabinets and drawers emptied out, I took exact measurements of both (L x W x H). 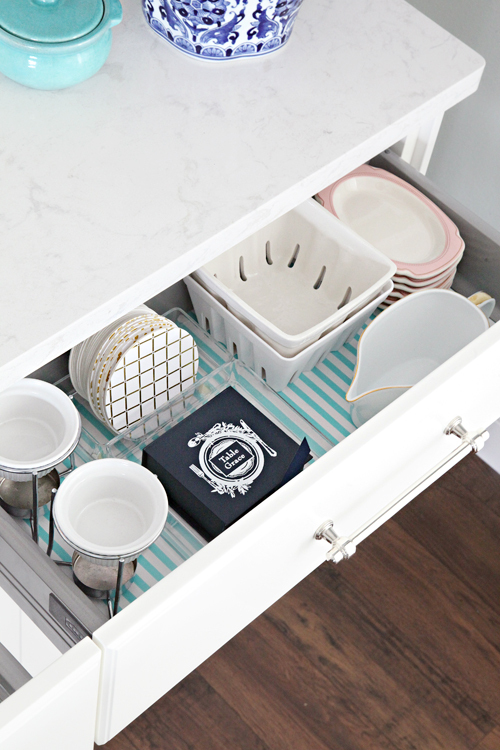 I then looked at the categorized piles on the table and counter and made a shopping list of storage ideas that would best handle the items. 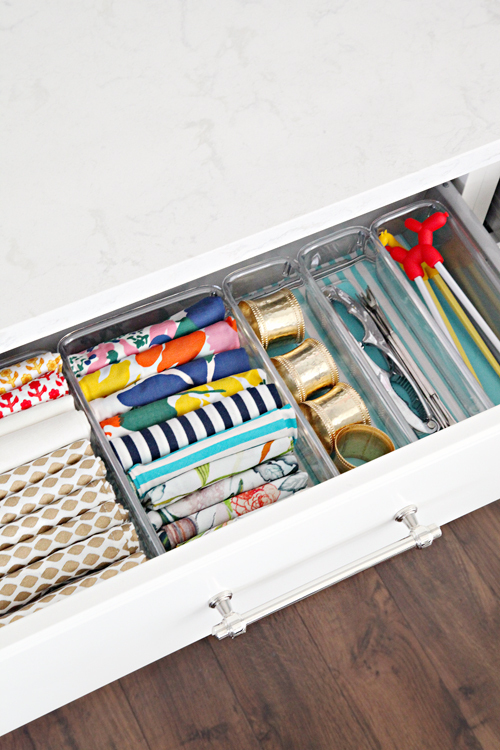 I knew I wanted one drawer to be lined with organizers to prevent another jumbled mess from forming, while the other was purged enough to offer some looser flexibility. I also told myself that just because something lived in a drawer for the last year, doesn't mean that is where it makes the most sense long term. 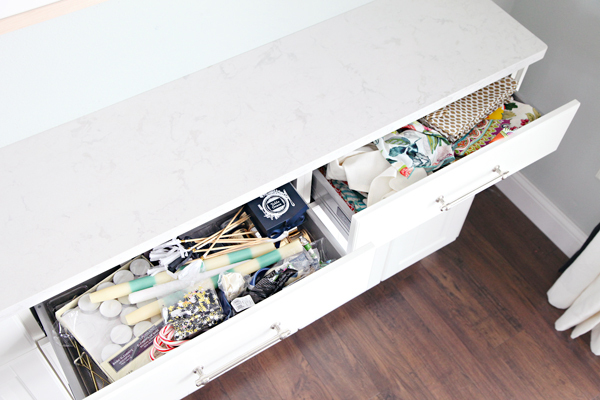 I ultimately decided to put some of the party items below into a cabinet and move some of the entertaining pieces up from the cabinet to a drawer. 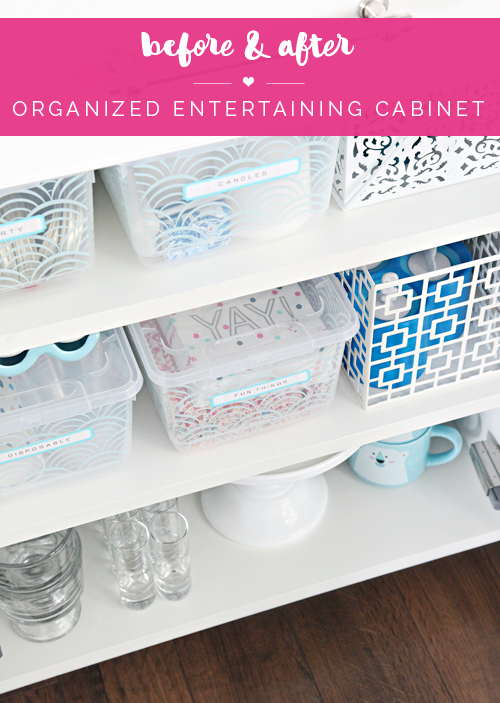 To do so, I would need to find some boxes or bins to now hold the smaller loose party items inside of the cabinet. However, before heading out to the store in search of storage pieces, I grabbed some matting board I had on hand and painted it to match the other cabinet interiors in our kitchen (like the charging station and coffee cabinets). By painting the board (foam core also works quite well), I can put a temporary bold backing in and give the cabinets a more polished look and feel. To do this I just cut the board to size, grab a mini-roller and apply a couple coats of paint. Once the board is dry, the cabinet shelves hold it in place in the back of the cabinet. Both of these upgrades were inexpensive and easy using materials I already use and keep on hand, and always make a noticeable difference with my projects. 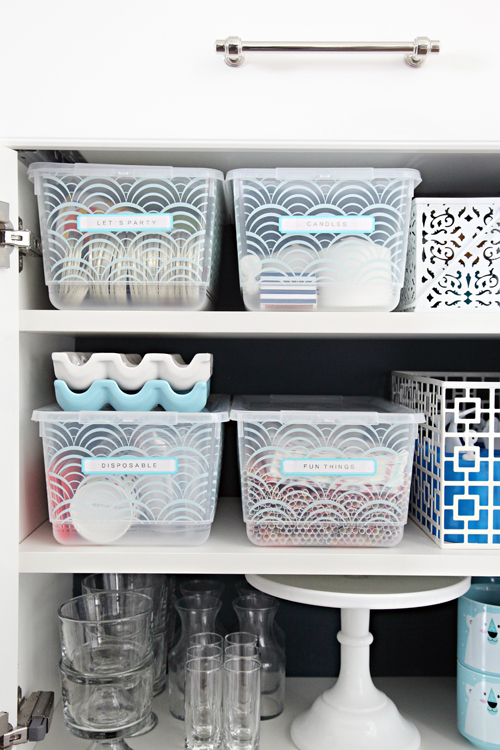 I found a couple of organizers at Target (wide & thin); some light weight lidded bins for the party supplies and drawer dividers for my cloth napkins and utensils. The napkins previously took up an entire drawer on their own. I took the time to neatly fold them all and place them inside of a couple of bins and now they only take up a half of a drawer! They are also easy to see and pull from when the wine and dine mood strikes! 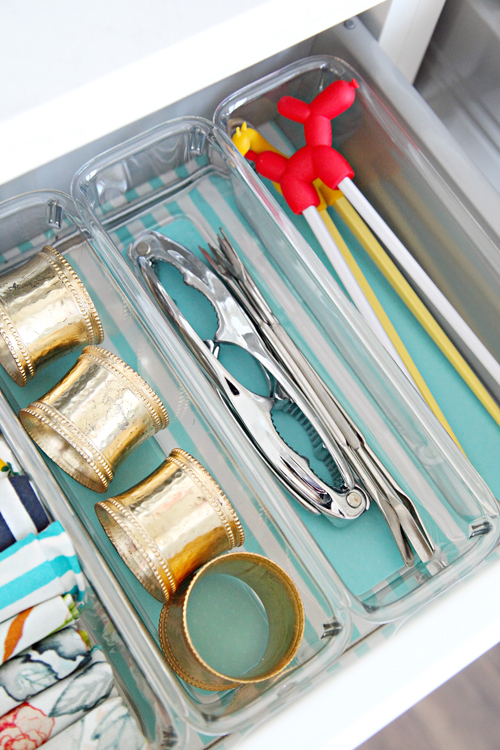 Some napkin rings, seafood tools, and chopsticks are sorted in the remaining organizers. 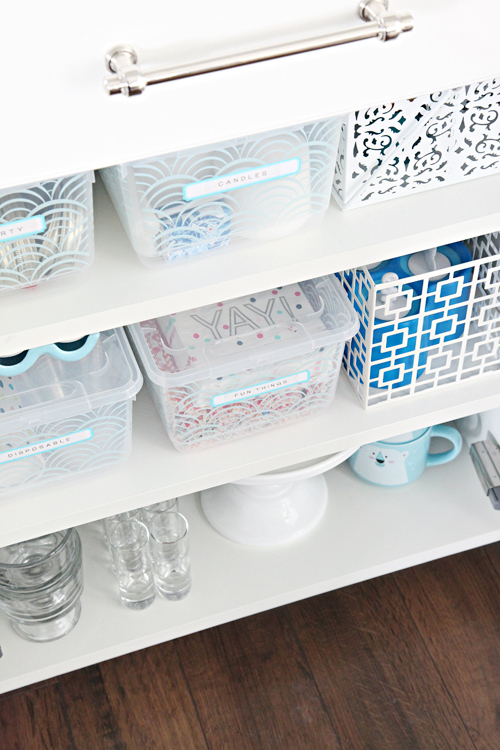 I reused a couple organizers I found in the jumbled mess and paired them with a couple of other small serving pieces. The best part is there is room to spare and also a bit of flexibility! Worlds better! 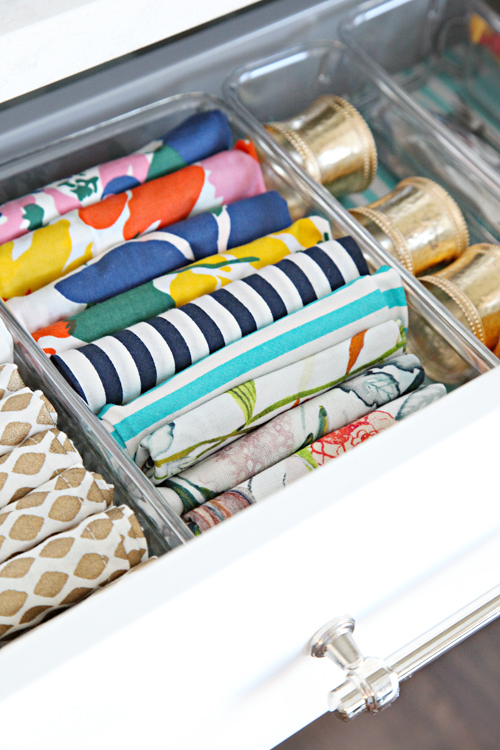 I can't wait to open these drawers the next time we have guests or serve up our Sunday brunch! Oh! And those Table Grace cards were the most special gift from my friend, Grace. They are so beautiful, you can read all about them here. Everything in here is pretty straight forward. 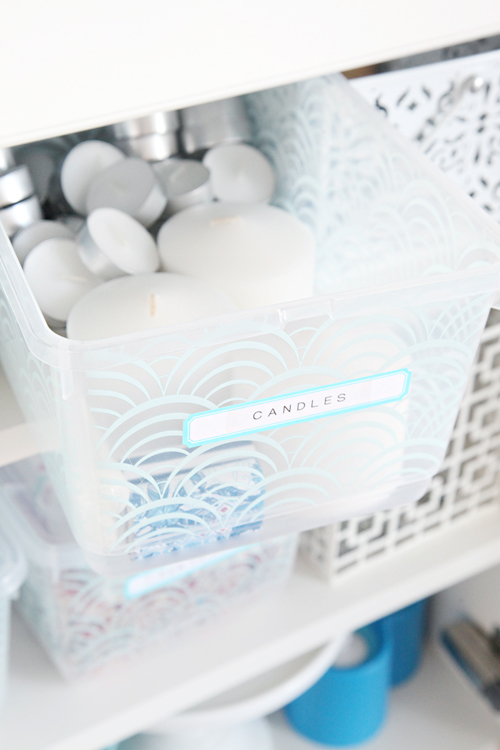 The lidded bins are the ideal depth, lightweight and semi-transparent. 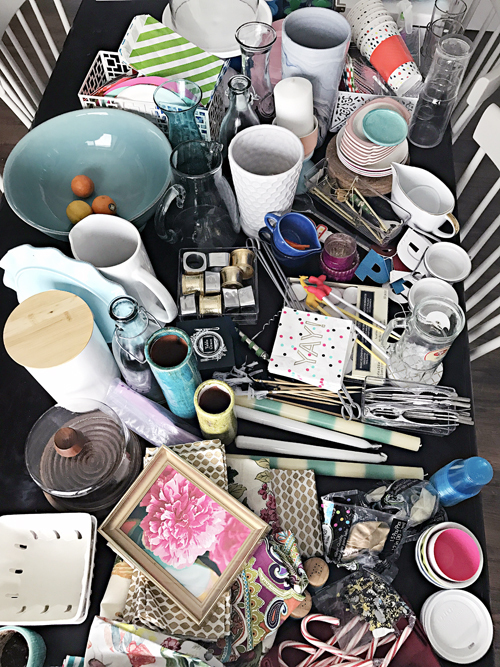 I began by sorting down items on the table that we use for parties and for when the boys have their friends over. 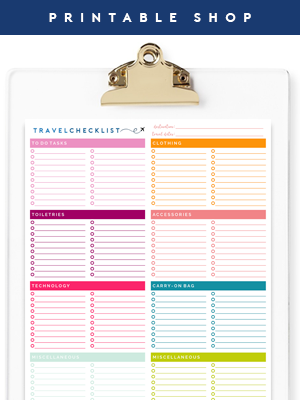 The categories are pretty basic and everything should be quick and easy to find. I made the labels by combining some old Martha Stewart labels I purchased at Staples a couple years ago, with my gold font and clear label tape printed by my label maker (these labels also coordinate to the labels in the electronic cabinet next door). The rest of the cabinet holds our ice cream dishes, specialty barware, cake stand, popsicle molds, ceramic egg crates and our cocoa mugs. And the white metal bins are the caddies we utilize when entertaining outdoors or hosting a party. 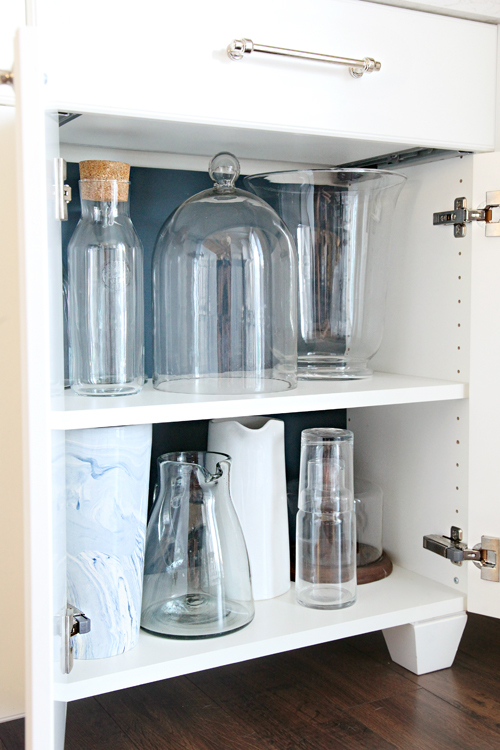 The final cabinet is very basic and a fine place for all of my oversized pitchers, cloches, and vases. 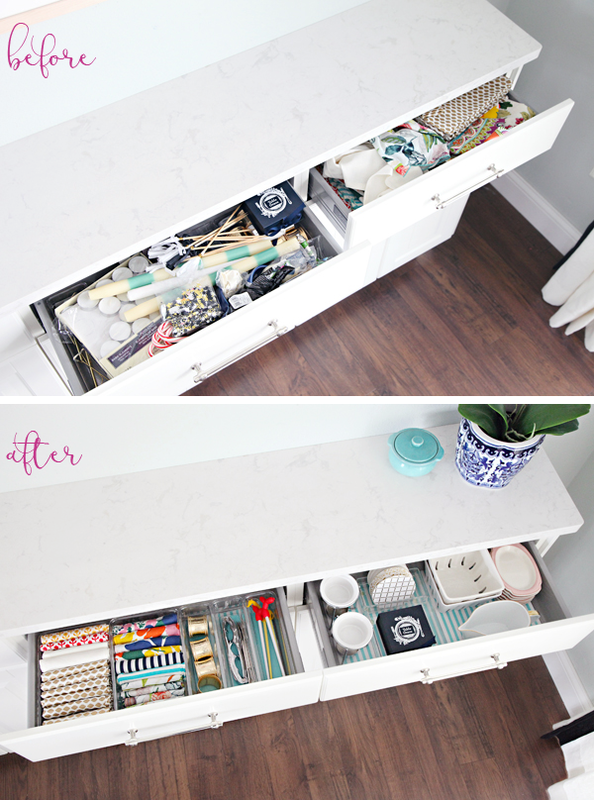 I super wish I had taken a cabinet "before" picture too because it would have been almost as good as the drawers. Oh well, the afters are still reason for a little celebration! And I will also celebrate that I did a little more than I initially planned. Even if I sort of planned it. Alright, Parker's new closet is halfway installed and I am already absolutely thrilled with how that project is moving along! More before and afters to come! I love how the napkins look all folded and arrange in the bins! Can you tell me where you got these cabinets? I love them! How did you customize this with drawers? 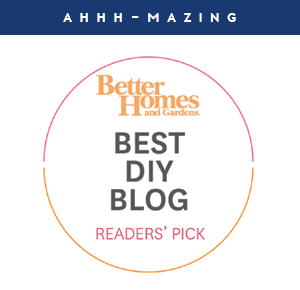 Was it Ikea or did you DIY? I am thinking of doing something similar and would love to know. Love it! 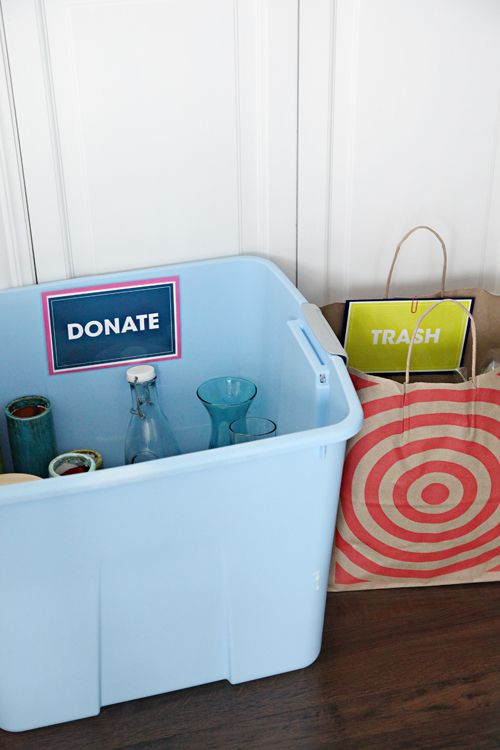 I love the way you've redone your space and also the individually marked bins! How do you get such great deals on bins? Where do you buy your mat board at? It's hard to find it online uncut. I generally purchase it in larger sheets from Michaels (and their 40% off coupons can usually be applied as well). This is fabulous. 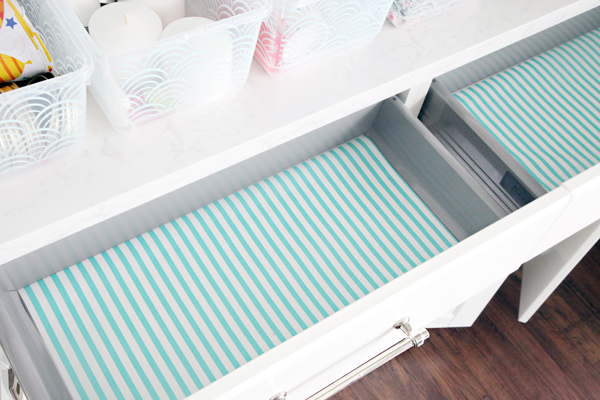 Do you have any suggestions for storing placemats? 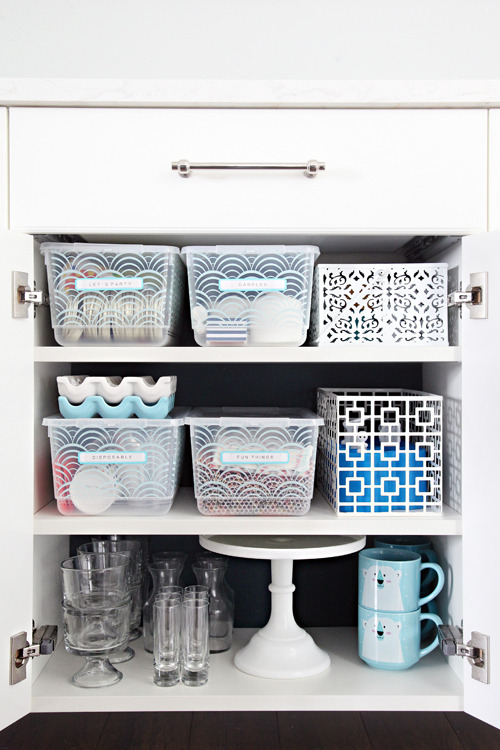 I would love to have my entertaining supplies this organized. Maybe this can be goal before Summer comes when impromptu gatherings happen more frequently. This looks amazing! I have a silly question. 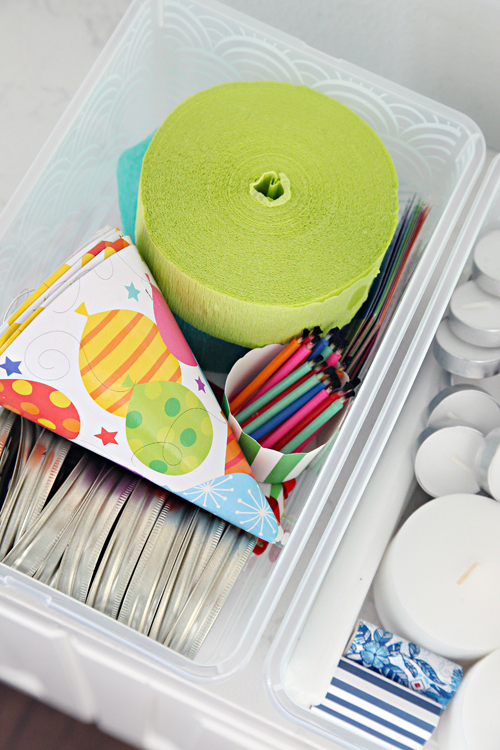 Why do you have a bunch of mason jar rings in your "party" box? Hi Tammy! 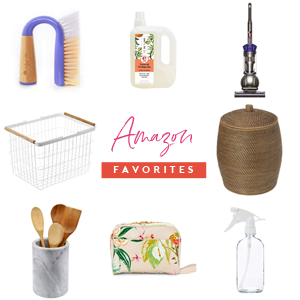 They are these for adding straws (http://amzn.to/2joQGVT) and will use them on occasion for kid parties, drinks with the girls and backyard parties. I was wondering- you mention frequently about a "quick paint job" in many projects. Where do you actually do your painting? Do you have a specific spot? With supplies etc? Kid fingerprint free? 😬 I'd love to see a post about how you go about these smaller paint projects. Thanks! 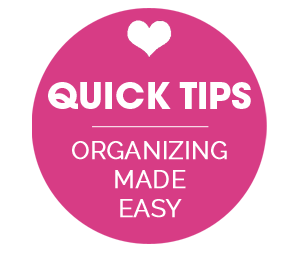 Those items you organized are the same items I need to get to work on! Very inspiring, thank you! This is perfection. The before shot on the table overwhelmed me, but everything was so beautiful. I could see the beauty in all the things. I love then result and, everything has a place. I need to buy some bins for my buffet cabinet in the dining room. I love the helper chopsticks you have in your drawer with the balloon doggie. Where did you get them! 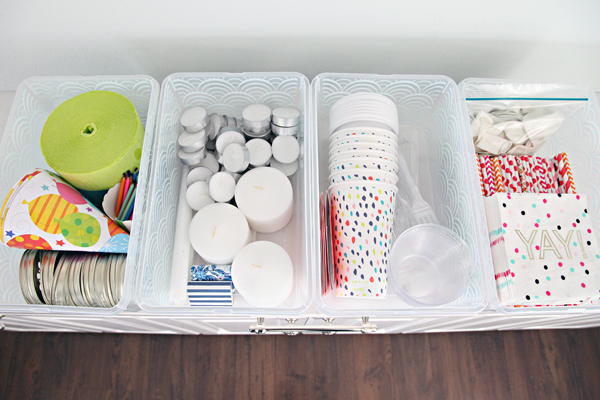 I like the way you have organized your space and also the marking of the bins! You have done an amazingly good job with that cabinet.